The Room is a family run concern offering our customers versatile high quality furniture that is not only practical but also affordable. 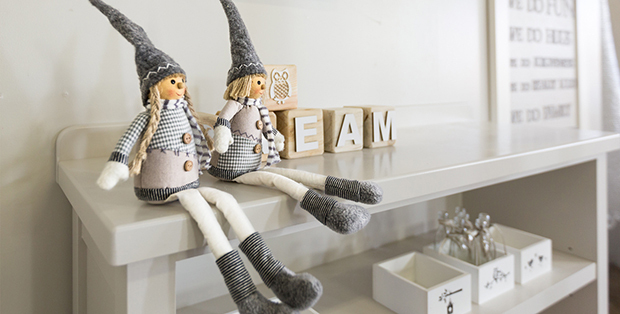 The inspiration for our range arose from a need to source furniture for our growing family. Francois has over 15 years of wood working experience and together we are committed to offering furniture that is adaptable, functional and not only limited to children’s rooms. After nine months of anticipated waiting your baby has arrived. Now you can welcome this precious addition to your family to a room ready with furniture custom made for a baby’s needs. A very important person now goes to school and needs a desk to do some homework and secret places to store special treasures. 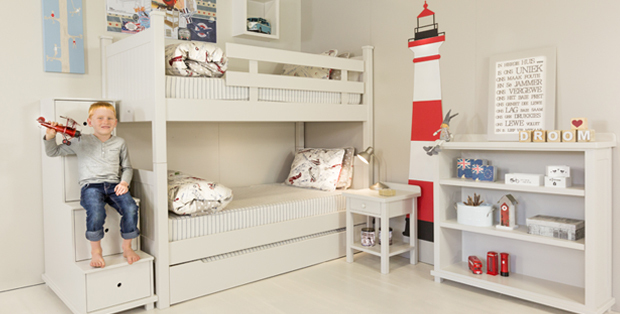 A bunk bed will make bedtime an adventure. A versatile utility room can cater for an unexpected guest, convert to a study for a student, store excess goods and equipment or welcome special guests at a beach cottage. 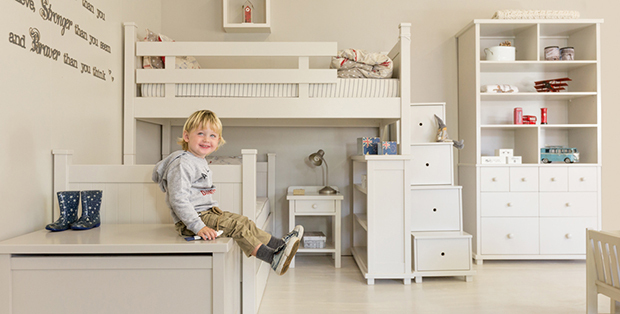 Be it your growing kid’s room or any room set-up, we place great emphasis on providing you with solid and functional furniture like children’s desks, bunk beds, storage utilities, tables and more! Feel free to browse our website and get a taste of what’s in store. Rest assured of unmatched service since we are personally involved throughout the kids furniture manufacturing process. Should you feel the need, we can mail the product sample information to you on request. 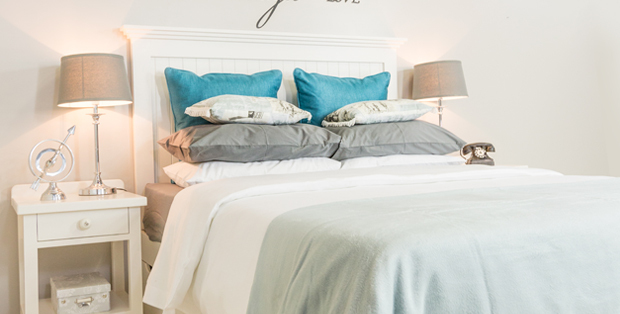 What’s more, apart from the standard colours on offer, we’ll be happy to cater to your personal colour preferences for a nominal paint surcharge. The Room Furniture takes great care to create classic pieces that are also safe and easy to use. The paint materials that we use are lead free and of high quality. You don’t have to worry about the assembling of furniture as most of them are pre-assembled for your convenience though some kids furniture like beds, wardrobes, drawers, etc. are partially assembled. All furniture items are supplied with the requisite components like plugs, screws and mounting plates for wall mounting. We ensure that completing the assembly is a simple and easy to follow process. Every product on this website is accompanied with its pictures, specifications and features. We hope you enjoy deciding on your furniture just as we enjoy making them!